Overburdened by worry. You’re not where you envisioned you would be at this point in your life. Maybe you were passed over for a promotion. It could be that your home which was once peaceful is now chaotic. Perhaps you no longer have the means to return to school as you always planned. A loved one may be suffering from a disease such as cancer or diabetes. Suddenly, imagining the future seems to snuff the light in you and extinguish your motivation and hope. The Oxford English Dictionary defines the word ‘worry’ as “to feel or cause to feel troubled over actual or potential difficulties.” In our text, the Apostle Paul offers us a cure to the distressing emotion of worry. A cure which is simply…contentment in ‘every’ condition of life (Philippians 4:11-12). Yet, this contentment can only come through living in Christ Jesus and allowing him to live through you. For hasn’t he given you the gift of eternal life when you trusted him as your personal Savior? 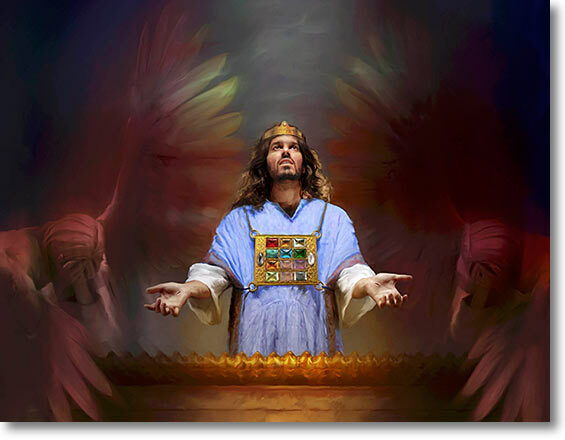 Have you forgotten that life on earth is training ground for eternity in Heaven? Of course, there will be none of that which we are confronted with here but there will be unending worship and bliss in the Lord. Not worrying is a form of worship. For it means that you are completely dependent upon God and fully trust in His will for your life. Consequently, you glorify Him and affirm His sovereignty over all things. So “set your minds on things that are above, not on things that are on earth.” –Colossians 3:2 Present yourself daily to the Lord as one who is Kingdom minded and “Fix your thoughts on what is true, and honorable, and right, and pure, and lovely, and admirable. Think about things that are excellent and worthy of praise.”-Philippians 4:8 Be assured that your name is written in the book of life. The Apostle Paul recommends the remedy of all disconcerting and distracting anxieties which is simply, prayer. Yet, it pains my heart to see several who are nominal in the faith and won’t take the necessary burdens of joy to pray to the One who knows what they need. Worry is sin and folly. It leads to disease and death. Some say “Yes, I’m a Christian,” but they walk according to the flesh and not of the Holy Spirit. A right relationship with Christ will confirm your daily purpose and spur you on to enduring joyful duty. For when we come to him in prayer, we not only thank him for the good in our lives but for the mercies in which we have received day after day. Sure, we have wants and desires but we need not waste much time in expressing them for he knows them better than we do. His desire is that we value His mercy and demonstrate our sincere dependence upon Him. What is the peace of God but that comfortable sense of being reconciled to Him and now having been favored He imparts revelations of that future hope of heavenly blessedness which is greater than we can ever imagine. Jason’s vision is for the gospel to continue to spread throughout the world and believes it is a Christian’s responsibility to carry out this mission effectively. To learn more about the organization for which Jason volunteers, please visit www.HaitiChristianity.org. Terrorist attacks, rumors of war and crime seemingly showing no signs to decrease. We join hands in protest but to no lasting avail. We pray for peace and it comes but after a little while then chaos breaks out again in our nations and communities. As we should, we hope for better days. Yet, how can lasting faith develop? 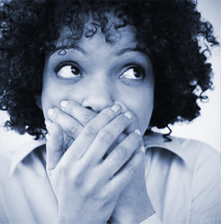 How can we gain a better understanding of the world in which we live and in the things in which we hear and see? All those who profess the name of Christ are called to a decided course of life. A course that continuously heralds a bold confession of Christ and his truth before their fellowmen. The world needs a developing faith! The fear of terrorism, particularly in America, is at an all-time high since 9/11. Why is that? All that we hear and see is in line with scripture and there is more opportunity than ever before for the ways of God to be made known. You recall that the apostle Paul said “But understand this that in the last days there will come times of difficulty.” –2 Timothy 3:1 Read the following verses later on but let me suggest that there are a number of professing Christians who have forgotten the unchangeable and undeniable power of scripture! Beware of a form of godliness, professing Christianity yet enjoying a close friendship with the world and its systems (2 Timothy 3:5). It would seem that scripture Christ-centered preaching has become a lost art. We want that which only makes us feel good. A spirit of gratitude makes you acutely aware of how much we truly have to be thankful for. 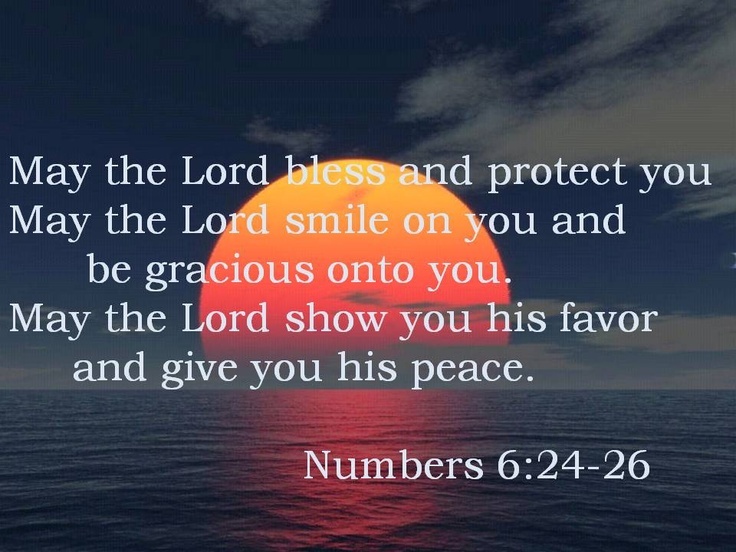 From dear people the Lord has brought into our lives, to relationship with our Lord and Savior Jesus Christ, to enjoying fellowship with brothers and sisters in Christ, to being able to carry out daily functions sometimes taken for granted, or being treated to coffee or a meal, the list is endless. As Psalm 23:6 says, “Surely your goodness and love will follow me all the days of my life.” Another word used for “follow” is “to chase after.” For those who love the Lord, His goodness surely chases after us even in times we don’t immediately see it. In the messages below, the Voices Against the Grain ministry team share what we are grateful for. We are grateful the Lord has provided us this platform as an opportunity to fellowship with and bless you. I am grateful first and foremost for my salvation in Jesus Christ. With my birthday around the corner this Sunday, I’ve been reflecting on my fulfilled need for a Savior. It seems like the older I get, the more apparent the condition of my soul becomes to me. I thank God every day that Jesus made it possible for me to be justified and sanctified before God through Him. I am also very grateful for my wife and our families. Life on earth would be meaningless to me without them. Happy Thanksgiving, all! I am grateful for my family—to have my three precious children and parents who love the Lord. I am grateful for my two amazing sisters, two fantastic brother-in-laws and wonderful nieces and nephews. I am thankful for Christ’s redeeming love and the friends He has blessed me with. I am grateful to be an American. Grateful for the sky above, the trees I see and the love I share with those around me. I am grateful for my health, well-being and peace of mind. I am grateful that God has provided me with a sense of direction in life. Though I am not fully aware of His plan, I know He has something great in store for me. I am grateful to spend another Thanksgiving with my family. Grateful that my sister returned home safely from deployment. I am also grateful for growth, specifically over the past year. There are too many things to mention, but I will start with the people I love. I am incredibly, beyond words thankful for my family—the ones God chose for me to walk through this life together with every day…a priceless treasure to me! Even greater still is the gift of knowing they are living lives set apart unto the Lord. As a mom, knowing my kids are hidden in Christ brings me joy unspeakable. 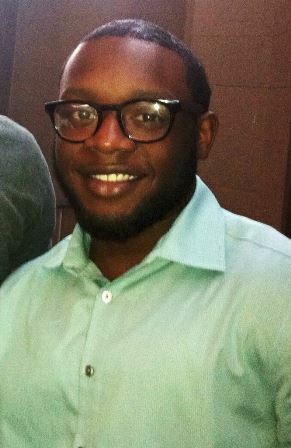 The intangible things are sometimes overlooked when we give thanks to God, yet these are the things that have no end. What we can see, feel, hear, taste, and touch are good gifts from God, but those things we only know and possess by the Spirit of God are the most amazing of all. Today I am thankful for those precious gifts that cannot be shaken or taken from me such as salvation that is secure, peace beyond all understanding—even in the most violent of storms, joy that cannot be measured with things or changed by circumstances, love that never fails and knows no bounds, favor that surrounds me as a shield, and the goodness and mercy of God that follow me wherever I go. These are just a few of the blessings of the Lord that I thank Him for today. He is good and His mercies endure for all of time! Happy Thanksgiving! I am grateful for the relationship with my Lord and Savior Jesus Christ. Since coming to Christ at age 12, He still keeps me in awe of Him. I thank God that He chose me before the earth’s foundations were laid and that He has a purpose for me to lead, serve and teach others. He’s concerned with everything in my life, great, small and in between. I am grateful for a deepening relationship with Him and the joy, love and peace experienced in His Presence. I am THANKFUL for His Holy Spirit, wisdom and words that transform me more like Christ, enabling me and others to see the changes (a work in progress). He reminds me in many ways that He is with me. I am grateful for family, friends and friends like family and for colleagues. I am grateful for health with the function of all of my faculties. I am grateful for blessings and protections seen and unseen. Grateful for clean water, access to food and ability to purchase food. Much to be thankful for. We hope our messages shared have got you thinking of what you’re grateful for. What are you thankful for? Please share with us here, via Twitter or on our Facebook page. A blessed and Happy Thanksgiving to you and yours! First, he defends himself by reminding them of his past. Paul was a Jew and he belonged to one of strictest parties of Judaism being a Pharisee and he was convinced that he ought to do many things in opposing the name of Jesus of Nazareth. He says, “And I did so in Jerusalem. I not only locked up many of the saints in prison after receiving authority from the chief priests but when they were put to death I cast my vote against them. And I punished them often in all the synagogues and tried to make them blaspheme, and in raging fury against them I persecuted them even to foreign cities.-Acts 26:9-11. What a Savior! How merciful and gracious! For we aren’t saved by our own strength, family lineage, education or wisdom but we are saved by the power of God and His alone. Paul said on another occasion to his understudy Timothy that “the saying is trustworthy and deserving of full acceptance, that Christ Jesus came into the world to save sinners, of whom I am the foremost. But I received mercy for this reason, that in me, as the foremost, Jesus Christ might display his perfect patience as an example to those who were to believe in him for eternal life. -1 Timothy 1:11 Do you believe? Would you like to see your life changed for the better? I’m not talking about material things, but I’m talking about the Spiritual. You were made in the image of God. (Genesis 1:26-27) Fearfully and wonderfully made! (Psalm 139:14) And it’s not about who you were but it’s about who you are becoming that God is most interested in. If we will allow him, God wants to mold us into the image of his son Jesus Christ who loved you and gave his life for you. 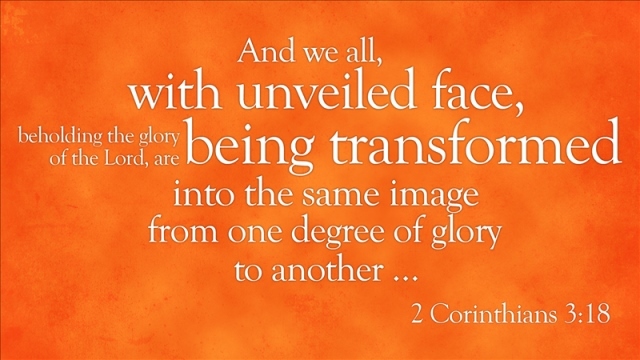 For the Bible says, “And we all with unveiled face, beholding the glory of the Lord, are being transformed into the same image from one degree of glory to another. For this comes from the Lord who is the Spirit.-2 Corinthians 3:18 You can make progress but it is a process. Oh! The Believer may possess an intellectual knowledge of Christ and salvation, yet prayerlessness, failure to attend church consistently and carnality all indicate a failure to surrender to Christ totally. It is the work of the Holy Spirit that one is changed inwardly—not sincere educated progressions wrought by human strength or self-will. If you have not already, why don’t you try giving Christ first place in your life? I assure you friend, that by the willingness of your obedience to him, by his power, you will fulfill his purpose for your life which is the best purpose! Amen. “I swear to tell the whole truth and nothing but the truth so help me, God!” I suppose we have all heard that oath presented in the court of law. It is a sworn testimony that counts as evidence given by a witness who has made a commitment to telling the truth. If that witness has been found to have lied while bound by the commitment, they can and often are charged with the crime of perjury. 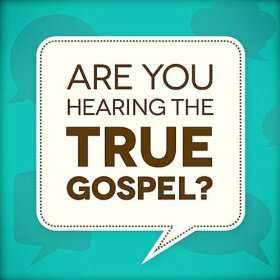 It is a tragedy today that when we turn on our television and radio sets there is a false gospel being preached in the world! 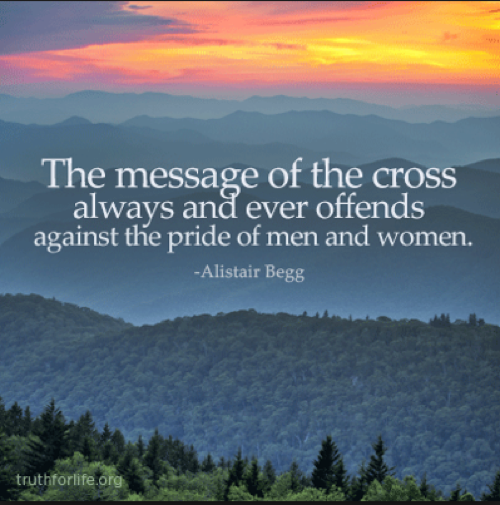 Where is the message of the Cross? The whole counsel of God revealing to us God’s holiness and our sinfulness. Where are the messages of Christ’s death and resurrection? His gracious and merciful forgiveness and our salvation for those of us who believe by faith! If Christ is not the center of the message, it is not a sermon! Paul tells his understudy Timothy in our text not to get hung up on words in controversies or debates with others where the TRUTH of the Gospel is often in danger of being lost but he says to study the Word to show himself approved! Ministers ought to be workmen taking the necessary pains to present the Gospel. And what is their work? It is to rightly divide the word of truth not to invent a new gospel, but rightly to divide the Gospel that is committed to their trust. We ought to listen very CLOSELY to what is being preached! Is it glorifying self or is it glorifying Christ? Too many messages are putting an emphasis on self. It seems like this is the “me” generation. My destiny, my dreams, my goals. Where is Christ in all that? May we rightly divide the Word of Truth! May we have the courage and the discipline to search the scriptures for Jesus’ sake! Amen. Do you feel lonely today? Do you feel as if no one understands? Do you feel forgotten? And God can be trusted to keep his promises. His track record is without blemish.